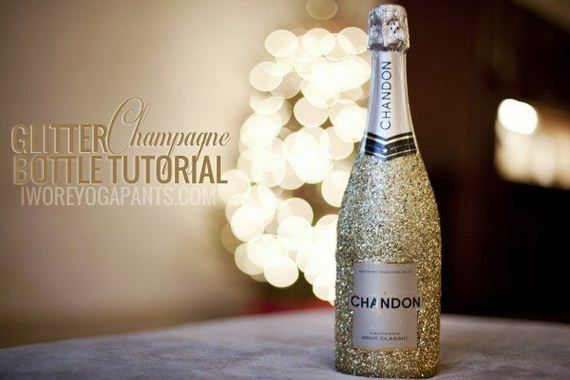 Glitter Champagne Bottle – Glam up a bottle of Champagne before bringing it to a party with mod podge and gold glitter. It’s a quick and easy way to make a simple gift look so much more expensive. 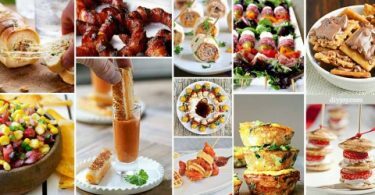 Presentation is everything! DIY Falling Leaves Garland – Perfect for fall, this garland adds sparkle to artificial leaves and suspends them at different lengths to create the illusion of gently falling leaves. 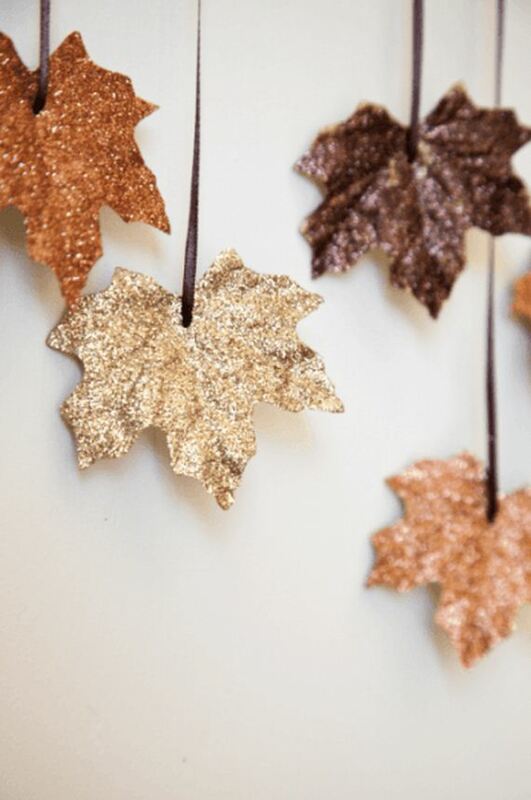 The glitter makes them perfect for any holiday, party, or just as seasonal decoration! DIY Toy Ocean Soap – This is a fun craft to make and will really be fun at bath time! 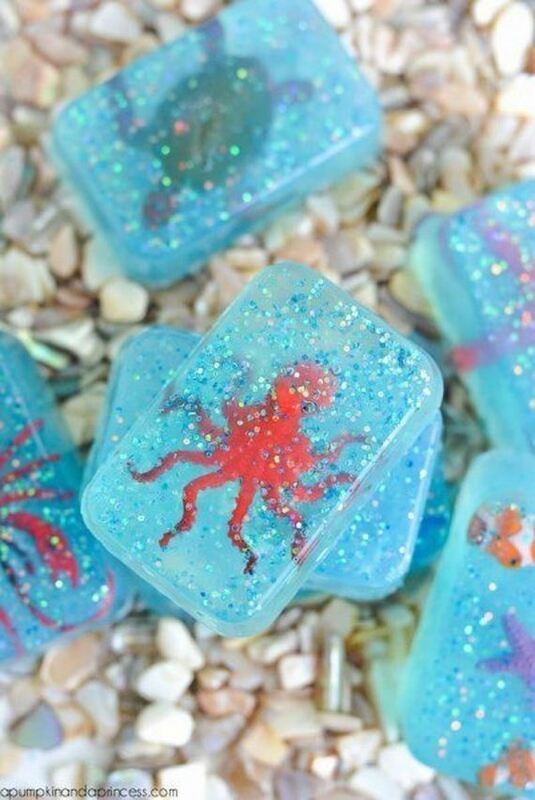 Tiny plastic ocean creatures are sealed inside glittery blue soap, creating tiny ocean microcosms that your kids will love! 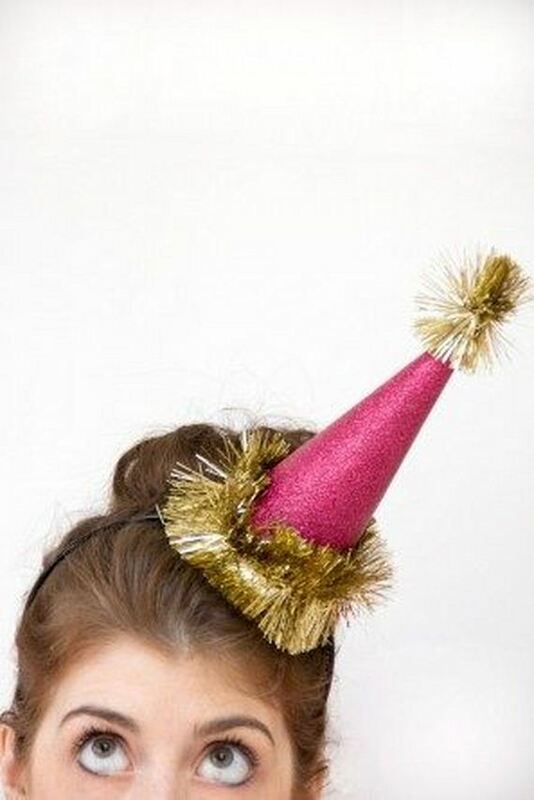 Glitter Party Hat – Dress up those plain party hats with these glittery, glamorous versions. They’re bright, colorful, and really say “party time!” Plus, they’re super easy to make, even if you’re not good with glitter or DIY! 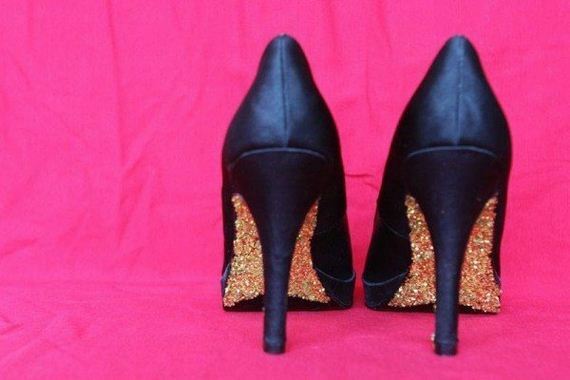 Glitter Heels – A bit of glitter added to the soles of your heels takes them from ordinary to eye-popping. Each step you take will be a flash of sparkle and shine, making you the belle of the ball. 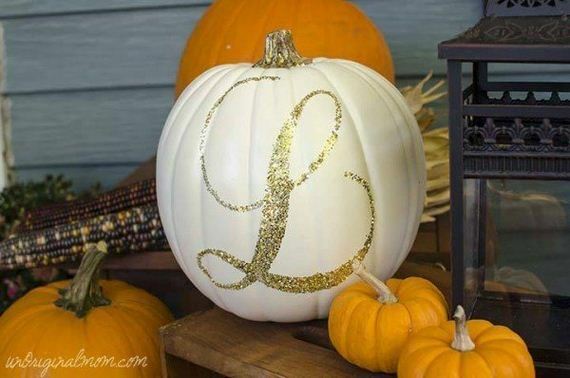 Glitter Monogrammed Pumpkin – This is a great take on decorating your front porch for autumn. Paint a real or faux pumpkin white, then add a wealth of glitter in a monogram to add instant elegance to your porch. Surround it with smaller orange pumpkins for contrast. 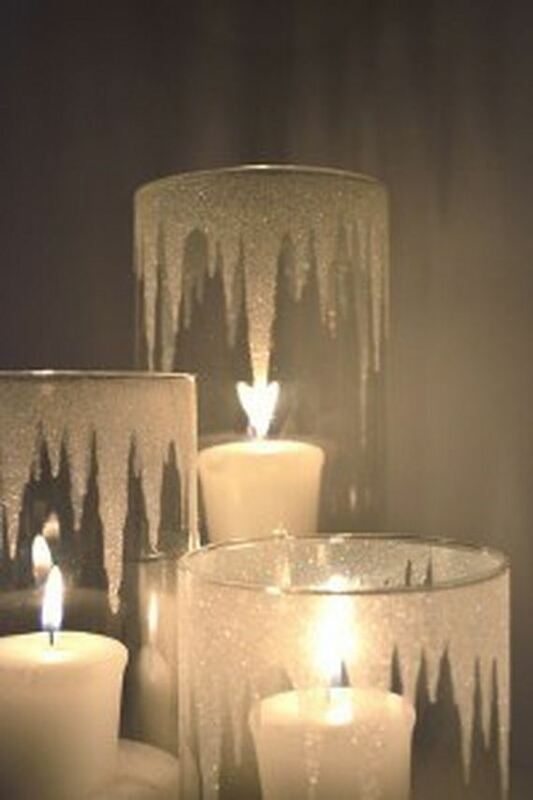 Icicle Candle Holders – Glitter is perfect for adding a snow or ice effect to practically anything, and it works well as frosty icicles extending down the sides of these glass candle holders. Elegant, sparkly, and perfect for winter! Glitter Slime – This is a fun one that you can do with the kids. 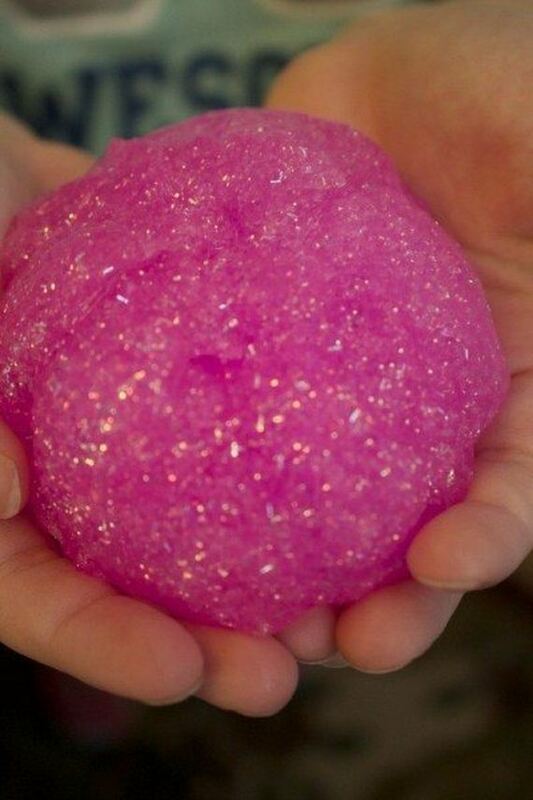 Create gooey, moldable, sparkly slime that will keep them occupied. You can make this slime in any color. Package it up into individual containers to give away as a favor at a birthday party! Lace Princess Crowns – Whether it’s for a party or for dress-up play, your little prince or princess will love these ornate, sparkly crowns. 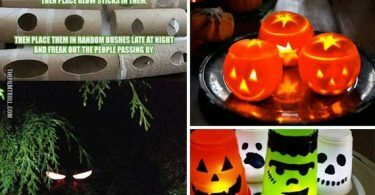 These are an inexpensive but memorable craft that your kids will get hours of fun and imagination out of! Pixie Dust Pumpkins – Here’s another fun way to decorate pumpkins for fall! 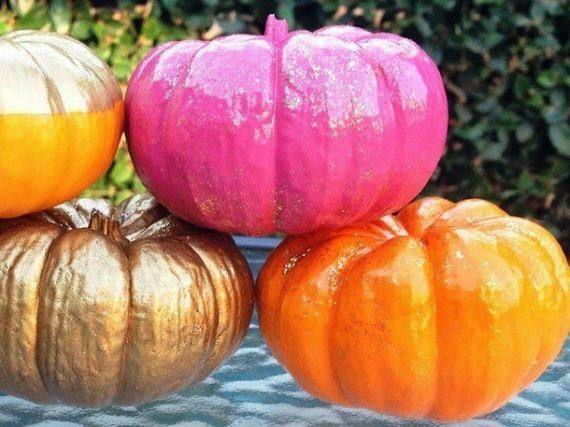 Just brightly colored paint and glitter to make stunningly elegant pumpkin displays. We love how shiny and eye-catching the finished products are! 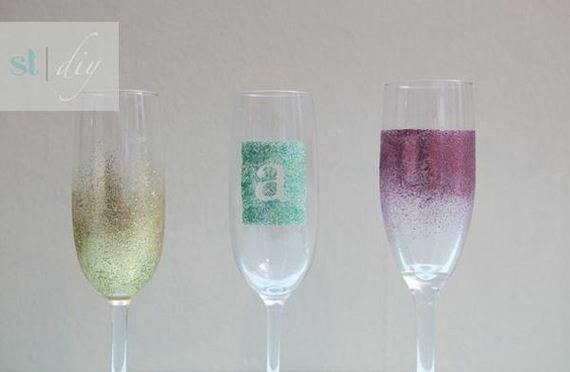 Glitter Champagne Flutes – This is a perfect companion DIY to the glammed-up champagne bottle from earlier. Create a custom set of champagne flutes to go along with a bottle of champagne as a lovely gift. Starry Night Luminaries – These sparkly luminaries are inspired by Van Gogh’s Starry Night painting, and look fantastic used as centerpieces or accents. They’re also incredibly simple to make. Add candles or flameless luminaries to the inside to light up the starry sky. 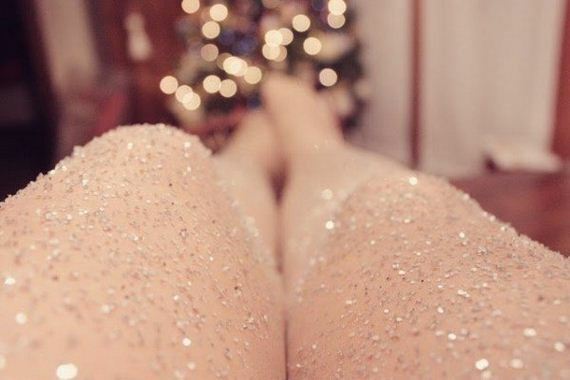 DIY Glitter Tights – Wow! These tights would be perfect for a holiday party. The little bit of glitter can dress up a simple little black dress, or simply add to an already ornate ensemble. 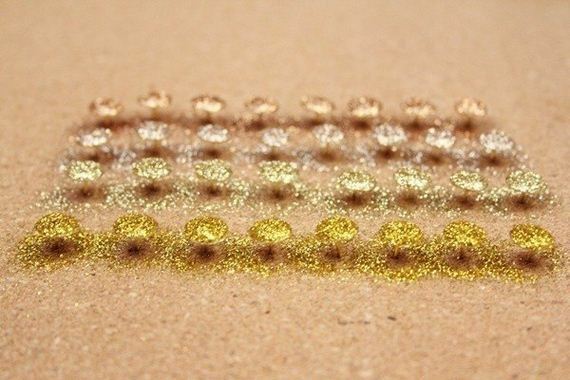 Glitter Thumbtacks – These little pretties will dress up your desk perfectly! They’re not overly gaudy, and absolutely functional. You’ll love the personalization they add to your workspace. 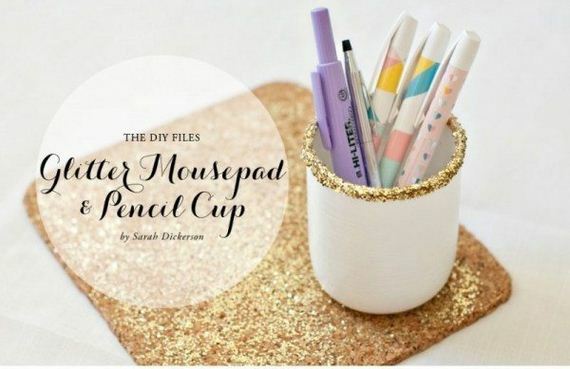 Glitter Mousepad and Pencil Cup – This easy project is another great way to add a personalized touch to your workspace. Take any old pencil cup and mousepad and turn them into a glittering masterpiece. 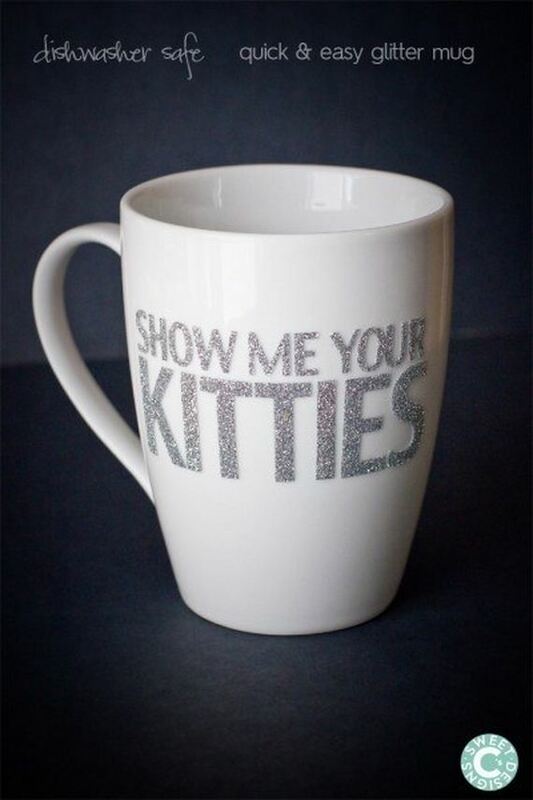 Dishwasher Safe Glitter Mug – This is a great gift idea that’s dishwasher safe and infinitely customizable. Create mugs with images, funny sayings, or inspirational quotes. 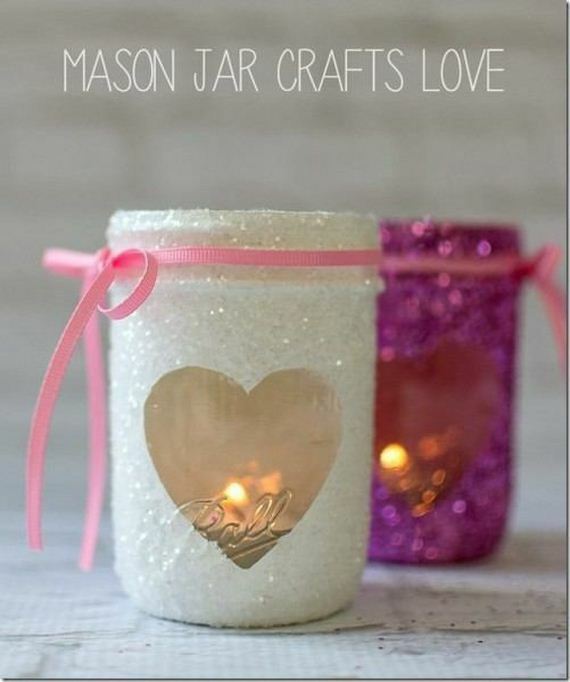 Mason Jar Glitter Votives – Create beautiful, romantic votives out of glitter, ribbon, and a simple glass mason jar! These are perfect for any time of year, but especially on Valentine’s day! 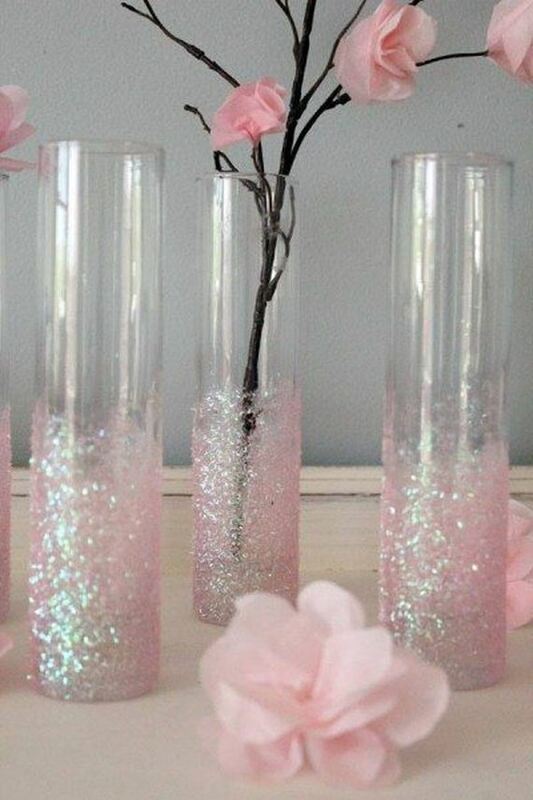 DIY Glittery Pink Vases – These glittering, tall, thin vases are perfect for holiday or wedding centerpieces. 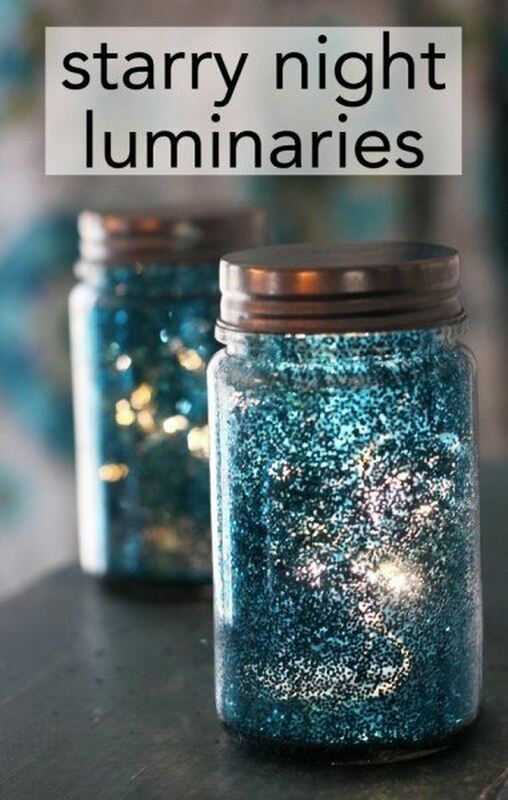 They’re incredibly easy and quick to make, and create a stunning effect.